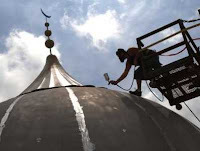 Jeff Brumley has a story in today's Florida Times Union about Jacksonville's largest Muslim mosque installing their golden domes on their worship center. Click here to read it. "I'm riding my motorcycle down 9A the other day. I look over, and the dome on Jacksonville's newest Muslim mosque is being put in place. It's amazing, Christians will rally for everything but what God says is important...But when it comes to engaging the enemy and the greatest weapon he's used in the last 1400 years, listen, to conquer all of Asia, to conquer much of Europe, what he's doing today he's doing it the same way with Islam in America today and the church is silent. And a big dome goes up in our city and we sit back passively and say 'Well, if that's what they want to believe, alright." Well, get ready brother, 'cause your grandchildren are going to come under Muslim law if you keep silent." Sure, spread the gospel - minister to the Muslims and try to convert them to faith in Christ. But do FBC Jax members need to be compelled to do this through scare tactics, Smyrl? How about out of LOVE for Muslims - isn't that enough to compel us to witness? Or must we FIRST offend every group that we are trying to reach? And what does Smyrl want the people of FBC Jax to do? Should we NOT let them believe what they want? Should we force the Muslims to pray and accept Jesus, and tell them to tithe? Does Jim want FBC Jax members to "rally" against the dome? And if they stay silent, Jim declares their grandchildren will come under Muslim law? Really? We're all in danger of coming under MUSLIM LAW? How so? A scarier thought, and perhaps more realistic possibility, is that we will all come under FBC Jax law some day - and will be told which books to read and not to read, if we dare "unjustly criticize" the church downtown we'll be investigated, and if we don't vote as FBC Jax wants us to they will claim we need to repent. 1. Obama Voters who are Christians: Smyrl said in his "Voting Yourself Out of Fellowship" article on November 14th last year that Christians who "voted for the continuous murder of the unborn" (e.g. voted for Obama) needed to repent to be restored to Christian fellowship. According to Smyrl, Obama voters committed the "...sin of voting in a manner that misrepresents God's character" - Jim says these recalcitrants need to repent of their "sin". Yep, don't vote as Jim believes, and you are not worthy of fellowship with him, apparently. Scary stuff. 2. Catholics: Smyrl has referred to a Catholic priest as a cult leader, and declared the entire Catholic religion a cult, and Smyrl says that FBC Jax members must confront their Catholic friends of the "lie" they have lived and believed as Catholics. 3. First Baptist Church Dallas: In January, Jim characterized FBC Dallas' new TV commercial as "blasphemous self promotion" - because they had a very tastefully done TV commercial that highlighted the church's ministries in the downtown metroplex. Smyrl used selected words from their commercial to purposely make it seem as if the commercial was blaspheming God, when it most certainly was NOT. 4. Lifeway Bookstores: In February, Jim claimed the leader of Lifeway Bookstores had agreed to pull the book "The Shack" from Lifeway shelves, only to later go back on his word. Jim called for Baptists to sever ties with Lifeway for selling such "heretical" material, since the average Baptist has not been taught to "read critically" and would be misled by reading a book like "The Shack". So Jim goes after quite a few groups: Baptists, Catholics, Christians voting for Obama, Christian bookstores selling books he doesn't approve of...and now Muslims. 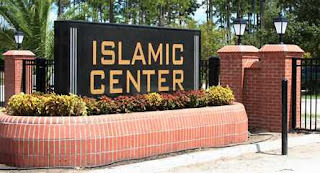 And by the way, Smyrl might want to check his facts - it was not a "new" mosque that was being built in Jacksonville off of 9A - the mosque is the "Islamic Center of Northeast Florida" which was built in 1984, and is now only getting the domes put in place. So it suited his purposes to make his listeners believe it is a new mosque being built [GASP], and we all had better act quickly else we'll all be forced to worship Allah. Jim, try compelling your church members to witness on the basis of love, not fear. That's how Jesus did it. 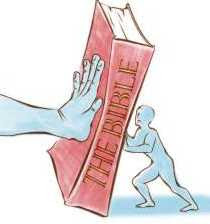 Jeff Brumley has a new article today at the Florida Times Union on church discipline. Click here to read it. In this article you'll be able to read how A.C. Soud is calling me a "coward" in the newsaper. "The coward that he is...." says Soud. Soud has certainly taken the cue from his pastor, Mac Brunson, and decided the best way to answer questions is to be sure to call the blogger names. I hope all of Jacksonville is taking this in. First, the Senior Pastor Mac Brunson calls me mentally unstable and a sociopath in the paper, and now the President of the Trustees of FBC Jax calls me a coward. Can we next get Jim Smyrl on the record? Perhaps he would be willing to call me a few names. Brunson's and Soud's name calling in the local newspaper says more about those two men and the church they are leading, and the people at that church who continue to grant Brunson and Soud their power, than it does about me. Shameful. Not only does Soud engage in name calling, but he gives a lame excuse for the trespass papers being issued to me and my wife as the first step of their unbiblical church discipline processes. Soud says that I was having somone "watching a Brunson sermon in Tennessee" and suggested people disseminate the blog in their Sunday School. Having someone watching a sermon? Recommending that people tell others in their Sunday School about a blog that discusses church matters? Those are threatening? Unbelievable. "Our purpose was: 'You are staying off campus until we know who you are, we can see you face to face,' " Soud said. Their goal was then to reconcile with Rich in a "Christian fashion," he said. Funny, Soud says they wanted me to stay off campus until they knew who I was. Well, Detective Hinson told them who I was, and they knew I was a 20 year member in good standing. They knew who I was, and where I lived, when Blount and King came to my house to give me my letter of 16 sins and my trespass papers. Let it be stated clearly: none of these men - not A.C. Soud, Mac Brunson, John Blount, Kevin King, Jim Smyrl, David Bristowe, David Kay, Bob Harrison, Jerrett McConnell, Jerry Ward - NONE of them ever came to speak to me about the blog, or asked me to shut it down, or offered to answer any questions - they all just decided to sign a letter and trespass me and my wife. Now THAT is bravery. Despite their pastor preaching to them about biblical church discipline for 2 years, they didn't have the courage to actually employ it. They took, shall I say, the COWARDLY route, and wrote a letter and trespass papers and sent Blount and King on an errand to drop it off at my house. It would be very interesting to hear Soud explain why my wife was given a trespass paper for the sin of "associating" with her husband. It would be very interesting to hear Soud explain why they had to tell my wife that she couldn't come on the campus to watch our daughter sing in her ensemble, and why she had to sit in her car outside the church while my kids went to church. What threat did SHE pose to the church, A.C. Soud? Why did Blount file trespass papers against my wife with the Jacksonville Sheriff's Office on December 10th for "church misconduct"? Can Soud or Blount explain what was her church misconduct? Was that a move signaling "reconciliation"? Or is it more like retribution? These guys should be ashamed of themselves. If their goal was to "reconcile" in a Christian fashion as Soud said, they had a strange way of showing it. I offered multiple times in December to meet with their committee if they met several very simple conditions for a meeting, but they would not. I don't understand Jim Smyrl and FBC Jax. Why are they still infatuated with kicking the Catholics? This past Wednesday Jim was back taking swings at the Catholics from the pulpit of FBC Jax, once again calling them a cult, equating them with Jehovah's Witnesses and Mormons and other non-Christian religions, going so far as telling his congregation that if they are to witness to their Catholic friends they must be brave enough to tell their Catholic friends that what they've been living and believing is a lie. I have refrained from saying much about what's going on at FBC Jax, I'm at a new church. But when I became aware of Smyrl once again slandering our Catholic friends as being a "cult" equal to the JW's and Mormons and Buddhists and Muslims, I will not stand by silently. I called out Smyrl last year when he did, and I'll do it again now. I believe his words from the pulpit of FBC Jax should have a light shone on them, so people know what is coming forth these days from FBC Jax. Last fall Smyrl published a series of articles on the official FBC Jax blog - condemning the Catholic faith as a "cult". Jim even referred to a Catholic priest as a "cult leader" (UPDATE: this link takes you to Smyrl's article referring to the Catholic priest as a "cult leader") in an article published just prior to that. Mysteriously, just a few days after his articles went up they were taken down. I have made them available to readers here at this link. But this past Wednesday Jim was back at it. Jim said he had received all sorts of emails from evangelicals "blasting" and "verbally assualting" him for his Catholic Cult series, about which he said "I love it, that just fires me up." - which may be true, but then why are not his articles posted on the FBC Jax blog for us all to read? 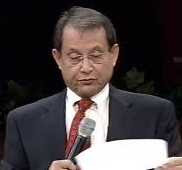 In this sermon Jim was telling the FBC Jax faithful that they need to do a better job witnessing to the lost, and Jim explained that their witnessing efforts must include confronting their Catholic friends that they are "living and believing a lie." "Listen, if you're ever going to win somebody in Catholicism to Christ, you may have to make a friend of them, you may have to get to know them, you may have to spend time in their life, but there is going to come a point where you have to say 'What you have been living and believing is a lie.' And you don't say it on your own authority, you say it on the authority of the one who saved you and called you into the gospel ministry." Sorry Jim - I've never been to seminary like you have, but as my grandpappy used to say, that is utter HOGWARSH with an "r". Our job as Christians is to not go up to Catholics and tell them that they are living and believing a lie. Our job is to live our lives as an example before them, to love them, and to speak a positive word for Christ. Aren't we to let the Holy Spirit convict people of the truth? We can share them the truth of the gospel, and our testimony, and let the Holy Spirit do the rest. Yes, we can trust the Holy Spirit to do the convicting. Its so disheartening to hear Smyrl say these things. Maybe Brunson is cheering him on, I don't know. But what I do know is that FBC Jax has never been about running down Catholics in Jacksonville. The few times that Vines ever referred directly to Catholicism it was "our Catholic friends" - pointing out that yes we do have doctrinal differences, but we do have docrintal similarities. And Vines was quick to point out that we have plenty of social issues - like the sanctity of human life - where we have agreement and on which we can partner. As Vines would say: there are lost and saved Catholics, just as there are lost and saved Baptists. Guys like Smyrl are dangerous and divisive to the Southern Baptist Convention. He wants to highlight doctrinal differences between Christians as much as possible, and if there are those who disagree with HIM, he calls for separation. In January Smyrl wrote a blog article calling out Lifeway and their leader for selling "The Shack". According to Jim, he believes Baptists should separate from Lifeway if they can't sell only those books that Jim believes meet a certain doctrinal threshold - his threshold. "And Catholics and Muslims and Hindus, and Budhists and Mormons and Jehovah's Witnesse can come to Jesus Christ and be saved." That is true, but again Jim chooses to lump the Catholics in with non-Christian religions. Come on, Jim. Let's drop the name calling, and let's spread the gospel to everyone. It is absolutely amazing what Tiffany Thigpen Croft, a local Christian wife and mother, armed with only a blog and the power of free speech and her faith in God, has been able to accomplish. Tiffany has done what most baptist pastors in this city were too cowardly to do. And she didn't have a budget, a PR firm, or any position of power in the city of Jacksonville. Tiffany reported on her blog this weekend that Darrell Gilyard, former pastor of Shiloh Metropolitan Baptist Church, has agreed to a plea bargain in his case involving lews and lascivious conduct against a 14-year old. This is very good news - according to Tiffany, Gilyard has admitted guilt, and will serve 3 years in a state prison, and will carry the "sexual predator" label for the rest of his life. This plea bargain will save the horrific ordeal of a public trial and his victims having to testify. Tiffany had her faith and a deep conviction that a person standing for truth and justice COULD make a difference. She started a blog to call out an abusive pastor in this city, and demanded justice - and she encouraged victims to come out. She used her blog as a vehicle for victims to share their stories. Information provided to Tiffany via her blog was shared with the State Attorney's office, and this aided their investigation. Tiffany started her blog about the Gilyard case back in December 2007 when this news about Gilyard's abuse at Shiloh first broke. Tiffany was brave enough to come forward and share her testimony of how Gilyard tried to seduce her as an 18-year old back in the early 1990's when she was at First Baptist Jacksonville. She shared how Gilyard operated, what his sickening tactics were - and no doubt this caused other victims to recognize they weren't alone, and needn't be ashamed to come forward, that this guy was a monster who had preyed on many others. Wade Burleson has written an excellent article on his blog about Tiffany, "Walking Where SBC Leaders Fail to Tread". It is true that many SBC leaders back in the 1990's who supported Gilyard and helped him to his meteoric rise - they absolutely failed to keep this man out of any positions of power - and their silence since Gilyard's arrest has been deafening. Thank the Lord that Tiffany wasn't trying to avoid controversy or wasn't afraid of being labeled as a troublemaker - she spoke the truth, and called for others to stand with her, and she took the arrows that came her way. Tiffany didn't complain about the attacks against her from people supporting Gilyard, she maintained a spirit of love, always expressing a desire for healing for Gilyard's victims and for repentence and justice in Gilyard's life. And most importantly, Tiffany didn't cave into those cowardly voices that told her that her blog was harming the cause of Christ, that it was beauty-shop gossip and should be shut down. No way - Tiffany stood strong, knew that truth was on her side, and she KNEW that God was pleased with what she was doing. You see, for far too long, people inside baptist churches have been afraid to call public attention to abusers, especially pastors. They have used the illogical excuse that to do so would harm Christianity - that people would be turned away from Christ if light were shone on the abuses of pastors, that things should be kept quiet. They've even used lame excuses like the pastor is God's man, and "touch not thine annointed", or "just let God handle it." The realilty was back in December 2007, God WAS handling this matter, and to help Him accomplish His will, God was looking for someone in Jacksonville. Not someone to hush it up, but to rise up and call for justice. God was looking for someone to shine the light on Gilyard to help bring about justice and healing. To call for others to demand justice. To encourage others who had been abused by Gilyard to come forward. And Tiffany said "Yes, Lord". As the legal process grinds on very slowly like "mills of the gods", its quite interesting to see what others are saying about this particular legal case involving the police investigation into a Watchdog blog, and the First Amendment free speech and establishment clause implications. There has been Christian media coverage, but also secular, non-Christian, and anti-Christian blogs and media outlets have taken an interest in this story even moreso. As it unfolds in the legal arena over the next year, interest will likely continue to increase. Google Blog Search - "Mac Brunson"
This blog continues to be open for discussion of these topics. And anonymous speech is welcomed. A lawsuit was filed in Duval County on April 27th. Defendants are the Jacksonville Sheriff's Office (JSO), and the State Attorney's Office (SAO) and the respective men involved from each agency that were significant parties. There have been several local news reports in print and TV media about the lawsuit. You can see those links at the "Media Coverage Links" in the column to the right. Thanks to http://newbbcopenforum.blogspot.com/ and to our friend "Thy Peace" for establishing and maintaining that list. Since the story broke in the local news earlier in April, and more recently since the lawsuit was filed, many people have called and emailed us to ask us what were the grievances that started this blog, and how did this ever end up at this stage, in litigation. The blog remains open for discussion of these issues. And as always, anonymous speech is welcomed.